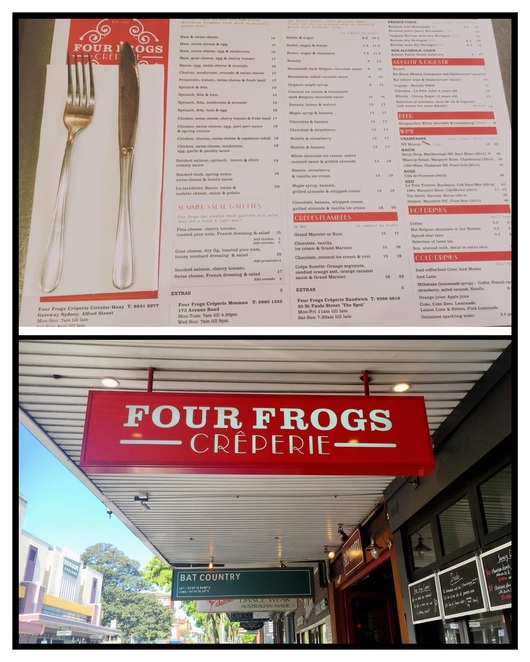 The Four Frogs Creperie in Randwick is located in the heart of 'The Spot', next door to Bat Country. 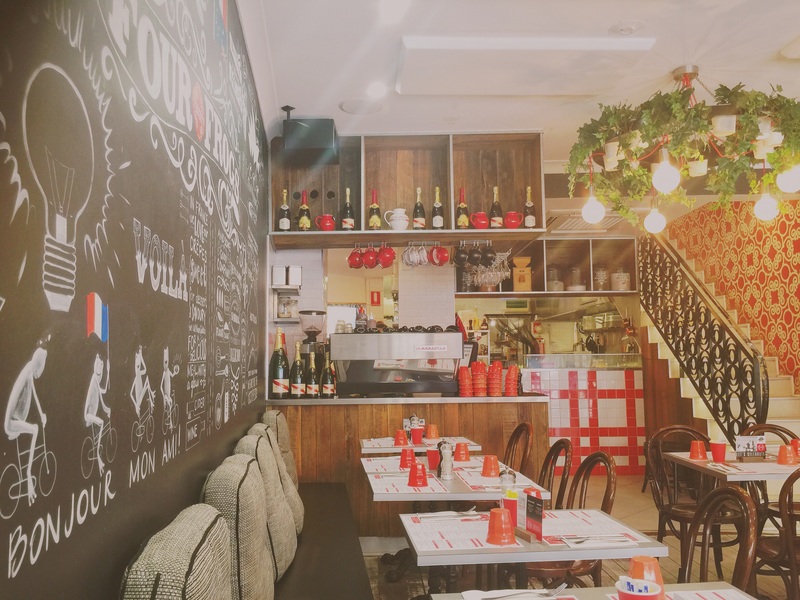 It was originally started by four French men who struggled to find good crepes in Sydney. Happily, this is no longer the case, because we have Four Frogs creperies in Randwick and Mosman. 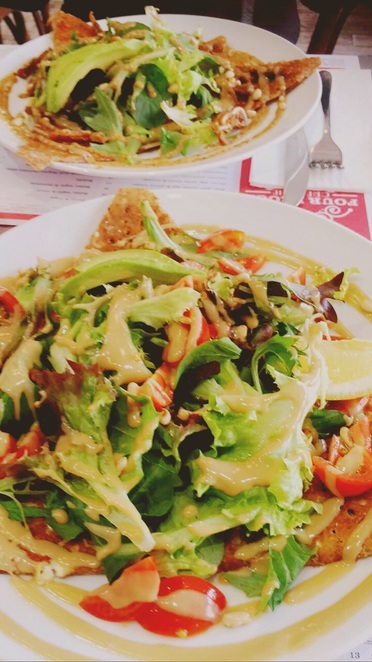 They serve beautiful, authentic crepes, both sweet and savoury. Their thin, crispy summer galettes (pictured) are divine, filled with melted feta cheese and topped with fresh salads and tangy dressing. 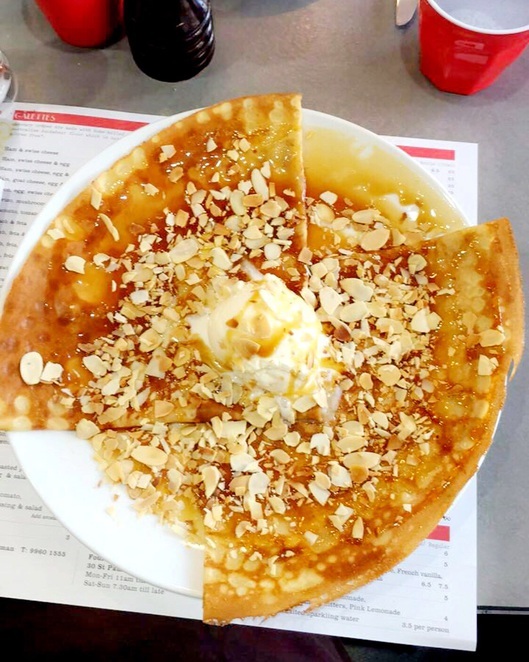 When it comes to dessert you can't go past their house-made salted caramel sauce crepe, served with grilled almonds and white chocolate ice-cream (pictured above). It'll leave you feeling satisfied. Order a double and share with a friend. 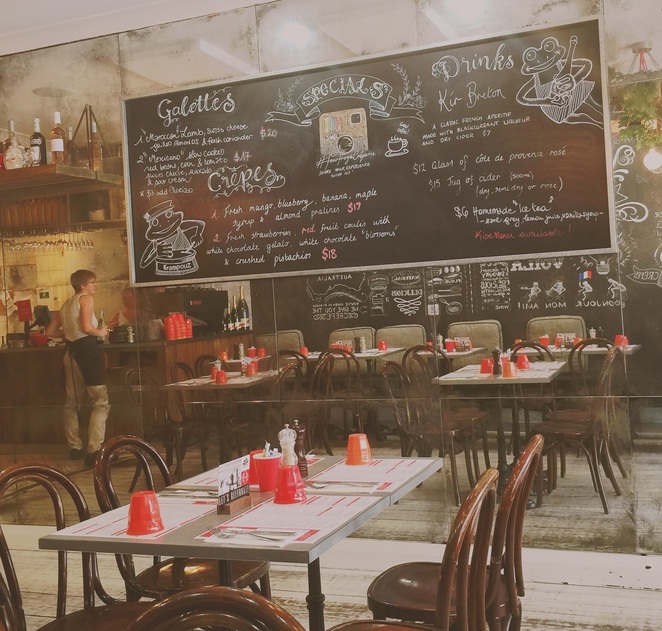 They make coffees and are fully licenced, so try a refreshing French cider with your meal. Why not get it as part of their movie deal? For $32 you can enjoy a galette, a drink (including wine and beer) and a ticket to any film at The Randwick Ritz cinema, just across the road. The quaint setting is French-chic, making it a nice casual spot to take your date. They play uplifting French music as you wine and dine and the staff are highly attentive. The upstairs area is lovely on hot summer nights. Make it a celebration and pop some of their French champagne. It's only a short stroll down to Coogee beach from here, so make a day of it. Bring your friends, enjoy a drink and catch a movie afterwards, it's the perfect relaxed outing. Glad to hear they don't actually serve frogs! The french theme is lovely, it looks like an amazing place.